On May 10th, 1869, as the last spike was driven into the tie at Promontory Summit, Utah, the First Transcontinental Railroad of North America was finally completed. Led by the Central Pacific Railroad Company and the Union Pacific Railroad Company, the construction work lasted for almost 7 years. The work in Sierra Nevada mountains was extremely difficult due to severe weather conditions and complicated terrain. In 1864, the Central Pacific began to hire Chinese immigrants. As first Chinese workers successfully handled the challenging work, more Chinese were hired. They worked hard to drill tunnels through hard rocks and lay tracks in the mountains. By the time the Transcontinental Railroad was completed, Chinese laborers made up over 90 percent of Central Pacific’s workforce. Without the efforts of Chinese workers in railroad construction, our development and progress as a nation would have been delayed by years. For the upcoming 150th anniversary of the First Transcontinental Railroad in 2019, 1882 Foundation will be celebrating Chinese workers’ contribution to this great project with our partners around the country. 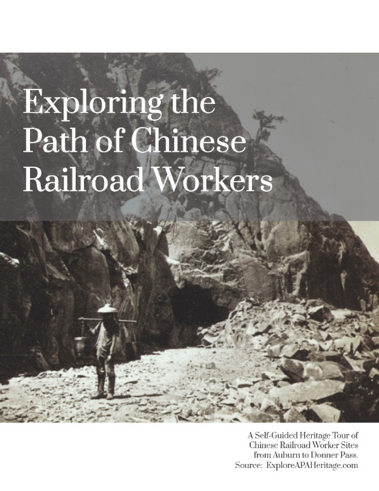 With the support from the U.S. Forest Service and Bureau of Land Management, we are excited to publish our digital brochure introducing Chinese Railroad Worker sites in Placer County and Nevada County in California. This brochure serves as a self-guided tour for adventurers who are interested in exploring heritage sites of Chinese railroad workers. It includes 7 sites from Auburn to Donner Pass: Bloomer Cut, Cape Horn Passage, Secret Town Fill, Summit Tunnel, Summit Camp & Central Shaft, China wall, and Tahoe Catfish Pond. Click the link below to learn about their stories in this brochure and go explore yourself! We also invite you to join our historic interpretive tour “Return to Gold Mountain 2018” on November 8th and 9th at national forum of Asian & Pacific Islander Americans in Historic Preservation (APIAHiP). For more information, take a look at our tour itinerary brochure here and register! 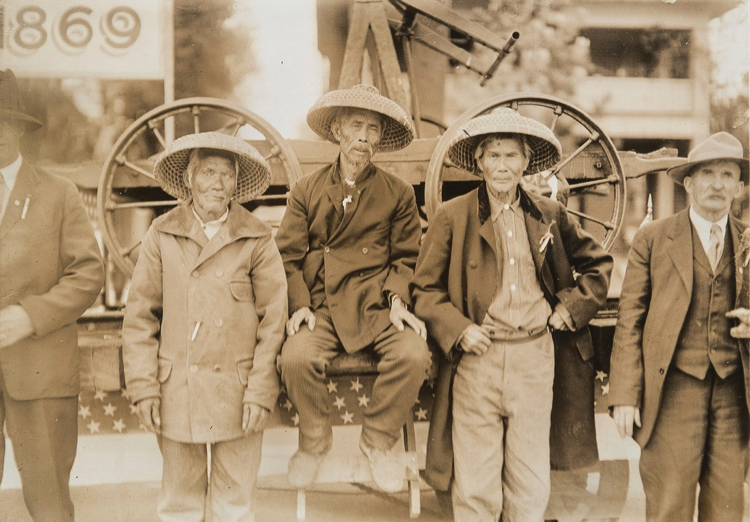 To learn more about Chinese railroad workers’ contribution to the First Transcontinental Railroad, please visit Chinese Railroad Workers in North America Project at Stanford University. To learn more about Asian & Pacific American heritage, please visit ExploreAPAHeritage.